Composite Distribution was created in 1987 by Marc Janeau. for all the concerned markets. Through those products, you are able to manufacture a composite part, with vacuum process or autoclave, and its mould. We are distributing those products for high or small volumes. We are providing our customers technical advise to choose a product, towards the right solution. In 2007 Composites Distribution was taken over by the Gazechim Group. The story starts in the South of France with liquefied gas conditioning and distribution; particularly sulfur dioxide for the wine-growing industry. During the 1970’s the group diversified into new activities: composites raw materials and plastics raw materials distribution. A new business unit started in 1973: composites raw materials. Today, the product portfolio of the Gazechim Group covers applications as diverse as wine making, water treatment, aerospace, automotive, yachting, air-conditioning, refrigeration systems, sports, leisure and renewable energies. 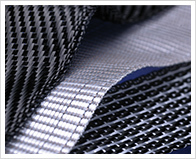 The Gazechim Group is the major distributor of composites in Europe. Gazechim Group has grown progressively and by continually re-investing has established a stable basis for continues growth while preserving independence. The Group operates in 23 countries and employs more than 650 people.